I'm having a Karen Smith (from Mean Girls) moment when I say this, but my nose can always tell when winter is coming. Without fail, one nostril will be caked in blood because of a mysterious cut due to dryness from the cold. I suffered for years without a cure, because I didn't think there was a moisturizer for our nose the way we do for other parts of our body. BUT I WAS WRONG. And boy, was I glad to be wrong. After hearing about my plight (perhaps also weary of my incessant misery), my boyfriend found an ointment called Boroleum that's now my #1 winter must-have. It allows you to lubricate your nostrils. Something that sounds so negligible has made my winters much more bearable. In fact, the few people I've introduced this to now swear by it. One side effect to having cake-y nostrils/stuffy nose in cold weather means the area around my nose also gets dried out. For some reason, regular moisturizers can't soothe a constantly irritated nose, but the Tatcha Revitalizing Eye Cream is a godsend. Perhaps it works so well because the intensive moisturizing formula is meant for application on a concentrated area in the first place? Anyway, if you suffer from similar symptoms, do give these a try. 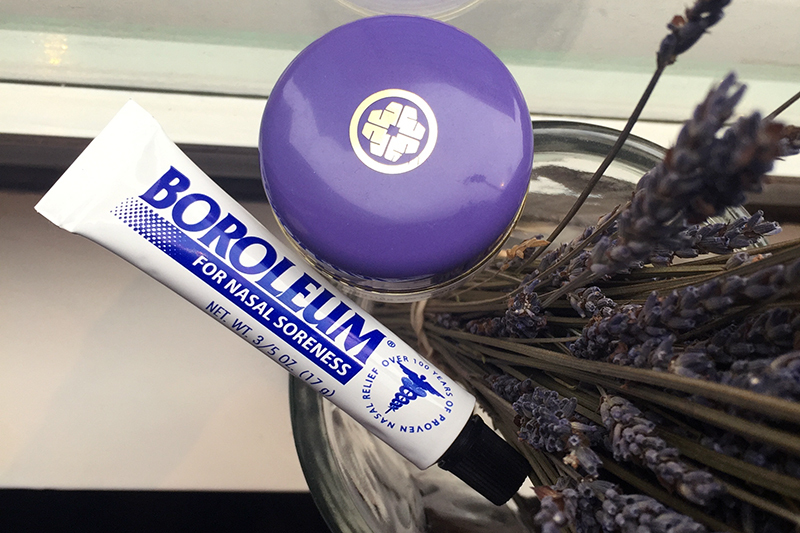 You can purchase Boroleum on Amazon (anything between $4 to $11) or at your local pharmacy, though you may have request it. The Tatcha Revitalizing Eye Cream is available for $135 at tatcha.com.